Following on from Akademi’s successful older adult projects Ageing Artfully, Active Bodies: Active Minds, The Inter Action project and Dancing Moments; in 2015 Akademi secured three years of funding from the National Lottery through the Big Lottery Fund for Dance Well, a project aimed at improving the health and wellbeing of older adults through South Asian Dance. The project began in January 2016, delivering workshops in community centres, care homes, dementia day centres and hospital wards. 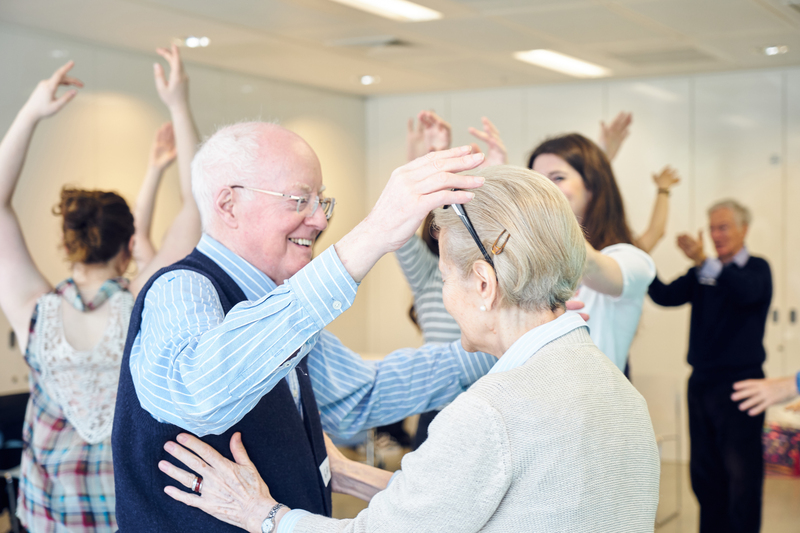 Since then the Dance Well team has delivered workshops to over 925 older adults, plus numerous friends, family and staff who have enjoyed participating in the workshops alongside them. We have developed a dedicated and enthusiastic team of dance artists who have been able to experiment with the application of Kathak, Bharatanatyam, Odissi and Bollywood dance in community and healthcare settings. They have shared this experience with peers and now, through our training programmes, help to develop the next generation of artists specialising in South Asian dance for health. Akademi is keen to share our experience in this field with the wider sector and has therefore featured at numerous conferences including Aesop’s Arts for Health showcase and the recent Engage: Social prescription conference, as well as published articles in Pulse, The Stage and Arts Professional. We are now pleased to share our full report of the three-year project, including challenges and learning from the process and where this work will now take us. We hope you find this report insightful, inspiring and useful in building the groundswell of evidence, passion and excitement for this area of work that aims to improve the lives of people of all ages through the wonder of dance.